As I am packing to leave for quilt show season, I have more love than ever for my quilt industry family. John Kubiniec is a quilter, quilt designer, blogger, and a dear friend. There is a free downloadable lap quilt pattern available. You should definitely make this quilt! This post should be titled LATE! My brother-in-law got married in the summer of 2010. I knew that I wanted to make them The Wedding Quilt, but I asked his bride about size and color. She wanted it BIG (120 x 120 inches!!!) and with a touch of blue. Less than two years later and mere weeks before their first child was born, I finished the quilt! That is one way the quilt was late. The other is that it took another year to post a photo of it here! I wish the happy couple many years of joy! I was cleaning off my desk today (scary!) and found a few old plane tickets from when I flew to the Australian Machine Quilting Festival last fall. Yes, I watched 7 movies flying to Australia, and 7 movies from home from Australia. If you have not had the joy of flying from the United States to Australia, it is really, really, really, really far away. I will fly to Australia again in April, this time to teach at the Australasian Quilt Convention. I wonder what movies I will see in April? I have been meaning to write about the Modern Quilt Movement for quite a long time. This is finally happening because I was asked to write a review about a new e-book Modern Quilt Patterns from McCall's. I am a big into "use what you have on hand" and these would all work with either yardage or left-over bits from other projects. I am thrilled that the publisher gives you permission to make and display the quilt as long as the pattern is cited. Sometimes I make a quilt and want to show it, but have to track down permission to do so. I like the instructions for quilt-as-you-go. I wish that they provided quilting pattern drawings. The descriptions are there, but images mean so much more when a quilter gets to the "but how should I quilt this?" stage of the quilt. I would recommend that new and experienced quilters download this e-book. Free is free, right? My thoughts on the Modern Quilt Movement have been scattered for quite a while. Let me try to put them in some order here. I made my first quilt in 1986 when I was pregnant with my first child. I had a lot of experience making clothes, but did not know how to quilt. My first quilt was made with scraps from my clothing projects, the block pattern was drawn on cardboard, I cut the fabric with scissors, I used a 5/8-inch seam, I used a sheet on the back of the quilt, and I tied it all with embroidery floss. After my second child was born, a neighbor taught me about rotary cutters, 1/4-inch seams, and other contemporary quilt-making techniques. I taught myself to hand quilt, machine quilt, and longarm-machine quilt. I started hand quilting for customers in 1994. I started longarm quilting for customers in 2000. 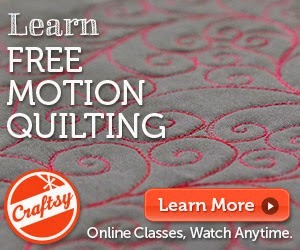 I started to teach machine quilting as my job in 2005-2006. I am now an experienced quilter who is curious about the Modern Quilt Movement. I have been a member of a traditional quilt guild for nearly two decades, First Dutchess Quilters, but decided to see what the Modern Quilt Guilds were about. I joined the NY Metro Mod Quilters in early 2012 and the Hudson Valley Modern Quilt Guild in late 2012. I am now a member of three quilt guilds, and they are all very different. My traditional guild works to bring in speakers, educate its members, and promote the art of quilting. The modern guilds have a more "do what you want with your quilt and see what happens" approach. While I have learned and mastered many techniques over the years, I have never considered myself an artist. I love the freedom to try (and fail? -- gasp!) that I get from my modern quilt guilds. I have always been and probably always will be more of a quilter than a piecer. I think my experience with the modern quilt guilds has made me more of a risk-taker. I am learning to play with fabric and thread again. "Hi! I moved my stuff to my new purse ;) all the compartments are gr8! The purse is perfect and so cute! i was wondering if you had anymore of the fabric from the purse you made me? If so, would you mind making me a small wallet like the one in my last purse? Let me know how much it costs and I'll send a check. Thanks so much." She does not sew and has no idea that a quilter will spent 100 hours on a quilt to give it away but will not sew for any amount of money. (OK, I actually do sew for money, but that is a different matter.) The fact that she specifically asked if I could make her a purse for Christmas, and then wanted another wallet is payment enough. I love when the people that I give gifts to enjoy them. Sadly, I did not have any more fabric. I cut it all up to make a scrappy baby quilt. I quickly ran to the Quilt Basket to see if they maybe had a fat quarter of the fabric left somewhere (it was old fabric). I could not find a fat quarter anywhere. I was about to give up hope when I found a bolt of one of the fabrics. SCORE!!! I pulled out my trusty Lazy Girls Wonder Wallet pattern and made up a matching wallet for her. It took me a quarter-yard of fabric and about 30 minutes. I snapped a quick photo with my phone before I tucked this in an envelope to mail to my dear sister-in-law. I did not stage the photo so you can see some of the debris on my desk. Clockwise from top right: a promotional ruler from brandyscustom.com, some lip gloss (of course! ), the charging cord for my wireless headphones, the cord for my laptop, and the edge of my desk lamp (it's new and I LOVE THE EXTRA LIGHT!!!). I cannot find even 6-inches of clear space on my desk. Sigh. I love my job! I love working with quilts, and quilt shops, and quilters! I love the people I get to meet, many of whom become friends. Susan Jungerheld is a quilter I met many years ago, and she has become a colleague and friend. There is a kit for this quilt. Susan teaches at the Quilt Basket. Go and meet her! I buy very few items that are meant to be thrown away: paper towels, paper napkins, etc. I made this decision years ago partly because it was good for the planet and partly because we were rather poor. I remembered that I had received some pretty dinner napkins for wedding presents and pulled them out to (gasp!) use. I have received other napkins for gifts since then and also began making my own dinner napkins. When my son and daughter-in-law lived with us, I apparently passed this along to them. Now they only use cloth napkins in their home. I made my daughter-in-law these pretty dinner napkins for Christmas because, well, you can never have enough pretty dinner napkins! I bought the fabric at Sew Inspired in Simsbury, CT when I taught there last year. Do you have or have you seen the Claire handbag pattern? If not, go and buy it now!!! The pattern is incredibly well written! It uses 7 fat quarters, some fusible batting, and some fusible interfacing. No expensive or hard-to-find zippers or fasteners. My sister-in-law switched to this as her new purse the day after Christmas. She loved the pockets and only had one complaint -- I didn't make her a matching wallet. I will have to get out my Wonder Wallet pattern. Lazy Girls to the rescue!